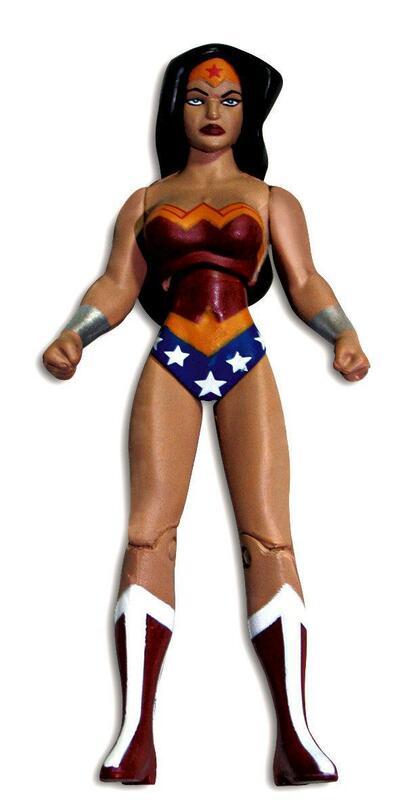 ● Wonder Woman: A Subversive Dream - She is one of the pillars of DC Comics. We examine why Wonder Woman is important in the grand scheme of the DC Super Heroes and how her raw strength and power helped define a new generation of empowered women, who realized that their gifts of intellect and strength were just as powerful as their male counterparts. ● Wonder Woman The Daughters of Myth � The riveting documentary historically defines the meaning of the Amazons and how this links in with the evolution of the Wonder Woman character from comics to screen. ● Audio Commentary: featuring commentary by Gregory Noveck (Senior Vice President, Creative Affairs, DC Comics), Bruce Timm (Producer), Lauren Montgomery (Director) and Michael Jelenic (Screenplay). ● Digital Copy Download� Warner Bros. is including a Digital Copy of Wonder Woman on the DVD which will provide fans a legitimate means to enjoy their favorite action hero anywhere they want on their portable video device. Formats supported include: iTunes, Windows Media Player. Restrictions apply. Consult product packaging for details. ● Sneak Peak: The next DCU Animated Original Movie. Synopsis: On the mystical island of Themyscira, a proud and fierce warrior race of Amazons have raised a daughter of untold beauty, grace and strength Princess Diana. When an Army fighter pilot, Steve Trevor, crash-lands on the island, the rebellious and headstrong Diana defies Amazonian law by accompanying Trevor back to civilization. Meanwhile, Ares (the god of War) has escaped his imprisonment at the hands of the Amazonians and has decided to exact his revenge - intending to start a world war that will not only last for centuries but will wipe out every living being on the planet, starting with the Amazons! It is up to Princess Diana to save her people and the world by using her gifts and becoming the ultimate Wonder Woman! It�s been quite a while since the last DC Universe title saw release and our glimpses of Wonder Woman have started and stopped since July of 2008. Now those who were eagerly awaiting this production can finally see what months of interviews and images has led up to: the first full-length animated Wonder Woman film. While we�ve seen her recently in Justice League and the recent The New Frontier DC Universe title, never has she been given a solo animated outing that focused solely on her origins and supporting characters. In terms of setting and story, there isn�t a whole lot here that is worth mentioning. It�s set in modern times and the story is simply an origin story mixed in with some mischief kicked up by Ares, God of War. Trailers for the film showed off plenty of action-packed sequences and the film certainly never disappoints when it comes to the throwing of fists and clashing of swords. For many finally having a strong and solid adaptation of Wonder Woman�s origins will be more than enough to bring them around to this film. After years of complaints about a na�ve Princess Diana in Justice League and Justice League Unlimited, fans will finally get their more mature Diana, complete with full ensemble of superpowers (minus the flight and twirling spin trick) and her own love interest and rogues gallery. Before I delve into the film itself, I feel I should mention a few things about my general feelings towards this film. I honestly didn�t know what to expect when trailers were released and the interviews and still came flooding from Warner Bros. Animation. For the most part I�ve enjoyed all of the DC Universe productions, but I just wasn�t all that excited about Wonder Woman. It�s not that I don�t enjoy the character, I just never really cared about her either. Still, that�s what this film was for, right? To create a nice origin story for the character that received some of the least balanced treatment among the �Big 7� in previous animated outings. In a sense this is decent film, but, and I�ll probably catch flack for saying this, there really isn�t anything really�well, wonderful about it. Let me start off with what I did enjoy about the film. The voice acting, for the most part, was pretty solid. Keri Russell as Wonder Woman was impeccable and Nathan Fillion as Steve Trevor was a solid performance and the two together certainly had a bit of vocal chemistry going on, even if their characters didn�t really show it much. Virginia Madsen was strong as Hippolyta and Alfred Molina brought one of the greatest villain performances I�ve heard from the DCAU in a long time as Ares. Unfortunately not everyone was perfect, as I felt Rosario Dawson really didn�t understand her character all that well, as she didn�t match the tone of the rest of the Amazon warriors, nor did she read the lines with any kind of feeling. Perhaps that was the intent behind her character, as Artemis really was kind of a stiff character to begin with, but whenever she was on screen I felt the performance was simply lacking. The animation was also quite a delight, with really lush backgrounds (the aerial fight was really quite fantastic; I�m not sure what kind of backgrounds were used, but the texture and detail on them was really great) at times and a few of the later shots of D.C. were nice and epic in scale. There was one unsightly piece of animation�Hades. He looked like a male Ursula from The Little Mermaid. Needless to say, it creeped me out. In addition the music, composed by Christopher Drake, was nice and epic and the piece that accompanied the final fight in the film was perhaps the strongest out of the entire film. I�m definitely looking forward to hearing the isolated score, whenever it�s released. For the full film review, click here. 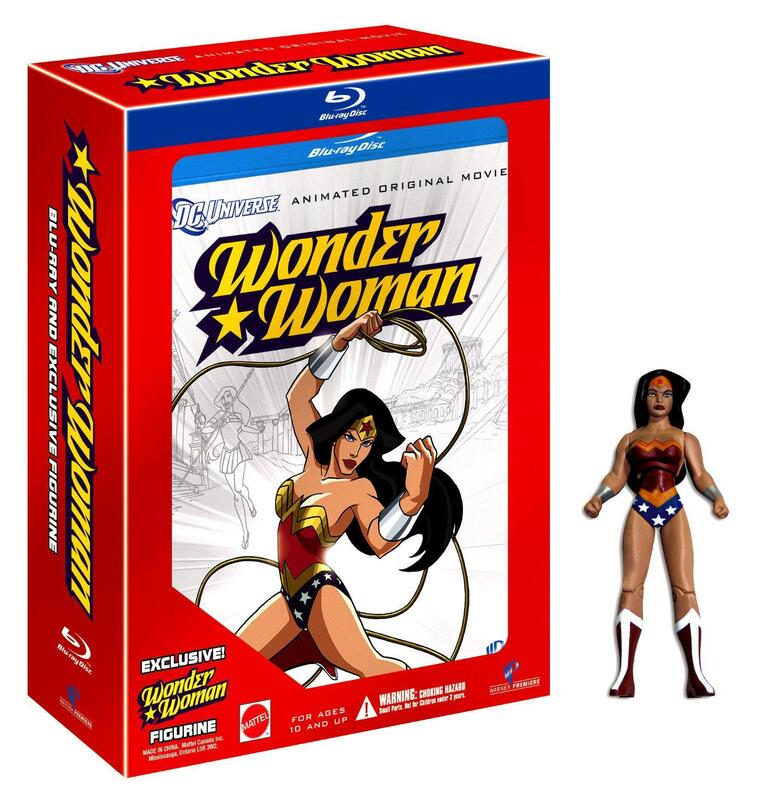 Warner brings Wonder Woman to Blu-ray in a two-disc Elite Blu-ray case (second disc is a digital copy), along with an embossed and foil reflective slipcover. Inserts include the digital copy redemption code as well as a firmware upgrade notice, while the only menu for the film merely lists all of the extras, a few of which include descriptions. As with almost all Warner Blu-ray titles, the film auto-starts. The video for the film is encoded with the VC-1 codec and honestly�there isn�t a frame out of place here. It all looks brilliant; not that digital animation wouldn�t look good in 1080p, but there is no compression or artifacting to balk at. Simply put it�s an amazing looking transfer and the pastel hues of Themyscira look great, as do the later nighttime sequences in New York and D.C. Thankfully we get a Dolby TrueHD 5.1 track this time around, which does pack a forceful punch on more than one occasion. It�s not quite the immersive sound experience I�m used to from other similarly action-packed titles, but overall it does its job adequately. Also included is an English DD5.1 track as well as English and French subtitles. First thing you�ll notice when picking up this title on release day is that it boasts a sticker on the front that emphasizes that there are �over 3 hours of extras.� While this is true, it is a tad bit misleading. Almost an hour and a half of that are the Justice League and Justice League Unlimited episodes (all of which are presented in standard definition and in 4x3�nice job, Warner), so anyone who�s already seen those episodes will have no reason to watch them (especially since they�re either available elsewhere in 1080p or in widescreen). But, having said that, there are a couple hours worth checking out at the very least. The first and biggest extra is the Commentary by senior VP creative affairs, DC Comics Gregory Noveck, Producer Bruce Timm, Director Lauren Montgomery and Writer Michael Jelenic. Noveck and Timm once again lead the pack in discussion, while Montgomery and Jelenic speak up occasionally, although they aren�t quite as silent as others have been with Noveck and Timm on board, so there�s that at least. There�s also plenty of discussion about the story, animation, voice work�everything is covered here and once again the commentary is the strongest extra on the disc for these DC Universe animation titles. Next up we have a pair of documentaries, Wonder Woman: A Subversive Dream (25:35) and Wonder Woman: Daughter of Myth (25:48), both of which don�t necessarily talk about this animated film, so much as the origin and history of Wonder Woman period. They�re both presented in widescreen (but in standard definition) and feature interviews with the usual cavalcade of past and present DC talent who have tackled the character. Finally we have the Green Lantern First Look (10:12), another standard definition extra that takes us through a brief history of the Green Lantern story and then delves into the plot of the film and some of the voice actors involved (Christopher Maloney! Victor Garber! Tricia Helfer!). As it currently stands, Green Lantern looks like it�s shaping up to be a pretty solid film and one that will stand apart from the past DC Universe efforts so far. The �first look� previews for Wonder Woman, New Frontier and Gotham Knight are included as well, but if you�ve seen the previous releases then you�ve already seen those anyway. Overall this is a nice set, but with the commentary once again the standout extra, those who aren�t ready to step into Blu-ray will likely find the single disc edition of the film more than suitable. But for those who want to see the film in stunning 1080p, this is the ticket. Recommended. Wonder Woman has always been a hard-sell it seems, and unfairly so. While I can understand the somewhat reluctance to get involved with a character that can be difficult to relate to, you have to admit that she's a great romantic figure, one that reminds me, personally, of some of the best characters in classic literature. An Amazon born of the clay, she rose to become an ambassador of peace, falling in love with the world she's never seen. How classic does that sound? Regardless of that, and save for a hit live-action series from the 1970s, she's had a difficult history in the media. Even though she's an influencial character, Wonder Woman has never really broke out of the shadow of Batman and Superman, her male DC Comics counterparts. Well, hopefully that will all change with Wonder Woman, one of the best DC Universe Animated Original Movie titles to date. Let's get that pesky synopsis out of the way and dig a little deeper into this new animated feature. On the mystical island of Themyscira, a proud and fierce warrior race of Amazons have raised a daughter of untold beauty, grace and strength Princess Diana. When an Army fighter pilot, Steve Trevor, crash-lands on the island, the rebellious and headstrong Diana defies Amazonian law by accompanying Trevor back to civilization. Meanwhile, Ares (the god of War) has escaped his imprisonment at the hands of the Amazonians and has decided to exact his revenge - intending to start a world war that will not only last for centuries but will wipe out every living being on the planet, starting with the Amazons! It is up to Princess Diana to save her people and the world by using her gifts and becoming the ultimate Wonder Woman! The opening battle sequence for Wonder Woman is a sight to behold, full of sharp directing and beautiful animation. While the battlefield is littered with corpses and combative foes, the backgrounds are detailed and lush. It's an absolutely stunning opening, and also pretty violent. Swords clash and heads fly as the Amazons struggle to defeat an evil foe. And this sequence is literally just the beginning. All this sequence does is provide the backdrop for the rest of the movie. 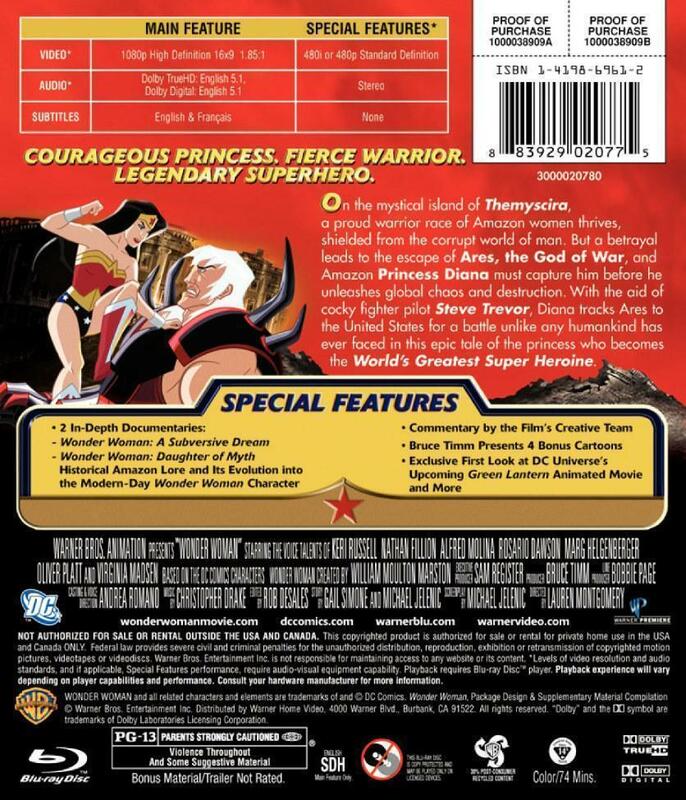 Once the words "Wonder Woman" blaze across the screen, the movie picks up with the leading character, Princess Diana, front and center. And, thankfully, the movie does live up to the promise of the opening sequence, even if it does falter a little here and there. Without a doubt, Wonder Woman is a fun movie, full of striking visuals and great performances. Nathan Fillion is absolutely perfect as Steve Trevor, who has some of the best dialogue bits in the movie. Fillion manages to play up the cocky nature of Trevor without it becoming too overbearing or tiresome. There's one moment in particular, when Fillion bares his soul after unknowingly stepping into Wonder Woman's Lasso of Truth, where we get an understanding of who Trevor really is. Keri Russell also manages to hold her own in this movie. I'll admit I was initially skeptical of her being cast as Wonder Woman when the news originally broke, but she does a good job with the role. She really does push herself into the role admirably and manages to pull it off. I don't think she absolutely nails is like Fillion with Trevor, but she does solid work as Wonder Woman, even resulting in some really hilarious moments here and there. Russell's voice also helps define Diana's age in the movie, too. She's still young and, I suppose, a bit fresh when it comes to the world around her, and we see that. There's one amusing scene where Wonder Woman, just arriving in New York, tells a little girl to "Unleash Hell" in an effort to console the child. Trevor and Diana have great chemistry and, thankfully, Trevor never overshadows Diana despite his strong presence in the movie. Overall, I thought the movie was very well cast, with everyone pulling their weight respectively. If there was a weak point, I'd have to say that Rosario Dawson was a bit too rough as Artemis. I understand the character and what Dawson was going for, but I don't think she pulled it off as well as she could. There were some line reads that sounded so stilted compared to the others. The movie does have a couple other detractors, though. It tends to jump around for the last twenty minutes, and while the movie does set up that Trevor and Diana are closely following Ares, I don't think it's handled as well as it could have been. This comes apparent especially for the final battle which has the Amazons just showing up in Washington, DC after Ares pops up there mere moments before. Yes, the Amazons do have a magic mirror to view the outside world, and Paradise Island does seem to pretty damn close to North America, like a few miles away at most, but they do show up way too fast for my liking. But, again, one can assume that the Amazons were also tailing Ares, making it easy for them to show up when they did. Still, how everyone winds up in the same place at the end seems a bit contrived and could have been handled better. It's not too distracting, but I guarantee that it may give you pause to wonder, even for just a few seconds. Since I'm not a life-long Wonder Woman fan, I am sure I missed a few other inconsistencies a dedicated Princes Diana fan would have picked up, but that seemed to be the major dropped story-point for me. Well, there's also the unexplained invisible jet the Amazons possess, but I'm sure others more knowledgeable in Wonder Woman lore than I can touch upon this better. To get back on track, I still think Wonder Woman is a solid animated action-adventure, emphasis on "action." As extremely evident by the opening sequence, this movie isn't for the faint of heart. The battle scenes alone make this movie not entirely kid-appropriate. We see a huge amount of stabbings and decapitations within the opening moments, and then many more during the climactic battle. The amount of dead in this movie is staggering. And, as violent as these battle scenes are, they're aren't as violent as early reviews will lead you to believe. In fact, based on the commentary track for the movie, they seem to have been toned down from their original presentation, which would be understandable given the final product. Despite that, it's still a violent movie, even if some of the more graphic moments, such as decapitations, are done in silhouette. Thankfully, the epic battle and fight scenes are countered with Trevor and Diana, who are paired up for the majority of the movie. Like I said above, there's good chemistry between the two, and that helps balance the movie. If the movie was just an animated retread of 300, then it would get tired really quickly, but that's not the case here. The script provides a lot of light and quiet moments that allow the characters to breathe and move the story along naturally. Even the villains are given some delicious moments, especially a very disturbing Hades, who has some really great, creepy scenes. Everyone has a moment to shine here, making it possible to actually care about what happens and how the movie unfolds, even if the movie succumbs to some erratic skipping toward the end of the feature. A lot of this is easily overlook-able thanks to some of the truly beautiful animation we see on display here. I briefly mentioned it above, but I'd like to go a little more in-detail for a moment. Whether it's the opening battle scene or the detailed cityscape, the animation on Wonder Woman is top-notch, and possibly the best looking DC Universe Animated Original Movie title to date. The movement is so fluid, with some of it even bordering on rotoscope-smooth quality. There's one scene involving a zombie Amazon (yes, you read that right) that is animated in draw-dropping fashion. Yes, there are a few glitches here and there, but any animation errors are far and few in-between. The only things that may stand out to the trained eye is the occasional obvious use of CGI, to bulk up the size of battle scenes and number of characters, or the odd jumpy animation cycle, such as walking cycles or the odd background movement cycles. But, like I said, it's nothing that takes away from the story at all. Overall, Wonder Woman likely has the best animation to date for a comic-themed direct-to-video animated feature, full of beautiful detail and sweeping visuals. The movie is truly an eyeful. If I had to compare it to the previous DC Universe Animated Original Movie releases, I'd rate it as the best yet. Much like Wonder Woman, each of the previous installments had their flaws, but also had major redeeming factors, too. Justice League: The New Frontier was a great production, but struggled to fit a massive story in a meager 75-minute movie. Batman: Gotham Knight was an interesting experiment with six loosely related shorts, with some better than others. Superman Doomsday was an unapologetic smashfest that was heavy on visuals but a bit light on story. Regardless of their faults, they were all enjoyable and fun, but Wonder Woman does them all better for one major reason. While there may be a few unexplained jumps, the movie doesn't feel as rushed as previous animated features. Wonder Woman is allowed to breathe for the 75-minute run time. It goes without saying that Wonder Woman is an animated feature that actually does have something for everyone, as odd as that may sound. We get comedy, romance, action, amazing animation, everything, and it's all actually balanced really well. Just keep in mind that, like the previous DC animated features, this movie it not appropriate for the younger set. Easily the best DC Universe Animated Original Movie title to date, it seems as though the creative team behind these direct-to-video animated features are finally getting a hang of what they can and cannot tell over a 75-minute period, and Wonder Woman is an example of a step in the right direction. Not to say that the previous DC Universe Animated Original Movie titles were bad, they weren't, but they seem to be finding their comfort zone on how to work these 75-minute features and Wonder Woman is a prime example of that. This direct-to-video animated feature is nearly perfect, and pretty much is until the third act when the script takes a few jumps that seem to come out of nowhere. Despite the flaws, once again, I find myself standing behind and touting this release as Highly Recommended. Wonder Woman is a great installment in the DC Universe Animated Original Movie line, and a movie that I'm sure fans new and old will gladly get behind. 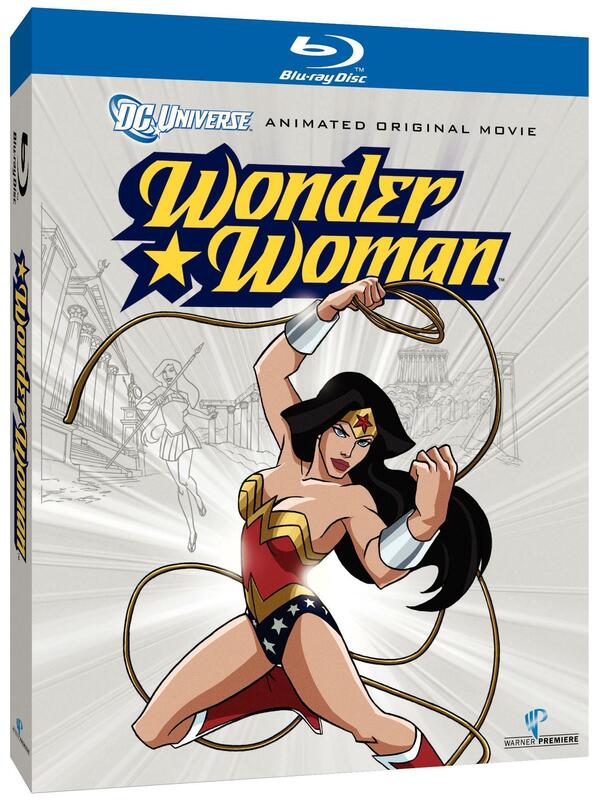 As with previous DC Universe Animated Original Movie titles, Warner Home Video has released Wonder Woman on single and double-disc DVD and high-definition Blu-ray. The Blu-ray release features a two-disc Elite Blu-ray case,with the second disc being a digital copy, along with an embossed and foil reflective slipcover. Inserts include the instructions for obtaining the available digital copy as well as a firmware upgrade notice. As for the release itself, Warner Home Video has done another excellent job putting together a solid release. While it's not the best DC Universe Animated Original Movie title release, it's still nothing to scoff at. Before we get to the bonus content, let's briefly touch upon the overall look and feel of the disc. The video transfer of the movie is a sight to behold, with no noticeable compression or artifacting, resulting in an amazing transfer. The audio transfer is just as solid with Warner Home Video finally giving these animated releases a DolbyTrueHD track. It's an excellent audio transfer that's immersive and sometimes ear-busting. A regular Dolby Digital track is also included. So, now that we've determined how excellent this release looks and sounds, what about the rest? As for extras, the first on the list is the Commentary Track featuring senior VP creative affairs, DC Comics Gregory Noveck, Producer Bruce Timm, Director Lauren Montgomery and Writer Michael Jelenic. It's a good track for the most part, with Noveck and Timm talking for the bulk of the track and Montgomery and Jelenic occasionally speaking up to share their thoughts on the project. Both Jelenic and Montgomery briefly talk about abandoned ideas from the movie and some of the edits made to the feature, including the reduction in blood. The track manages to cover nearly every aspect of the film's production and is a great extra. Following that we get two documentaries, both of which run just over 25 minutes in total. Both Wonder Woman: A Subversive Dream and Wonder Woman: Daughter of Myth touch upon the roots of the character and the mythology of which she is based. Aside from a few clips from the animated feature, there's little mention of the movie. The documentaries focus on the interesting comic book origin of Wonder Woman, how she came to be, and how her influence has lasted for generations. Looking into the myth behind the character also results in some pretty interesting facts being uncovered, including the discovery of a group of mummified women with traits similar to that of the Amazons. Interesting stuff that's worth a look, even if the documentaries are too short for my liking. Also included in this release are a host of "first look" featurettes of past and upcoming projects. Green Lantern: First Look gives a preview of the next direct-to-video animated feature from DC, providing a look at storyboards, animatics, and thoughts from the cast and crew. It looks like a solid effort, without a doubt. "First look" featurettes for Wonder Woman, Justice League: The New Frontier, and Batman: Gotham Knight, all carry-overs from previous releases, are also included to view. Oddly enough, there's no trailer for Super Doomsday, which was just re-released on DVD and Blu-ray just last year. The Blu-ray is also rounded off with two episodes from Justice League, "Paradise Lost, Parts 1 - 2," and two from Justice League Unlimited, "Hawk and Dove" and "To Another Shore." All four episodes provide suitable entertainment for those looking for more Wonder Woman. The Blu-ray release of Wonder Woman is absolutely solid, even if it isn't as packed as I'd hope. While it may have some flaws, Wonder Woman is probably the best DC Universe Animated Original Movie title to date and if you're looking for the best way to experience this movie, the Blu-ray is the way to go. With the most bonus content out of all of the releases, Wonder Woman will easily provide hours of great viewing, including a solid rewatchability factor of the main feature and some fascinating content from the bonus materials. I do think the two documentaries could have been longer, as they run just a shade over 50 minutes combined, but what is there is great watching. 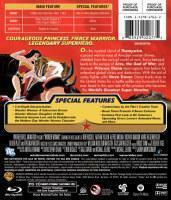 It goes without saying that the Blu-ray release of Wonder Woman comes Highly Recommended to own. Not only is the main feature an absolute wonder, and looks stunning 1080p, but the bonus materials are fascinating and informative. 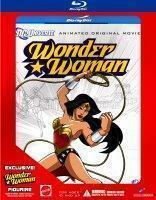 Warner Home Video has done a great job giving fans an immaculate release for on of DC's most beloved characters. Wonder Woman, and related characters and indicia are property of DC Comics and WB, 2017. The World's Finest and everything relating to this site - copyright, 1998 - 2017. Proudly hosted by toonzone and popgeeks.. Follow The World's Finest on Twitter and Facebook.